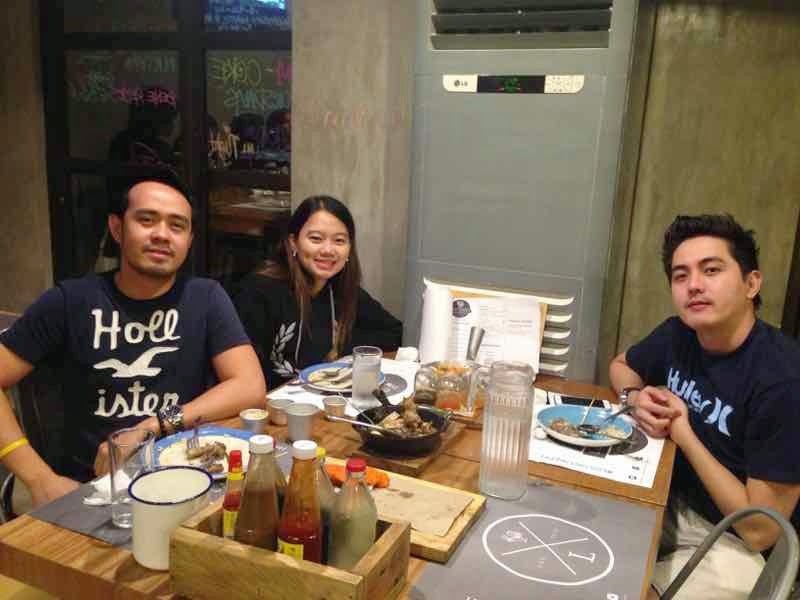 After our busy work, we decided to go in Kapitolyo Pasig to find a new place that was trending in twitter and instagram. 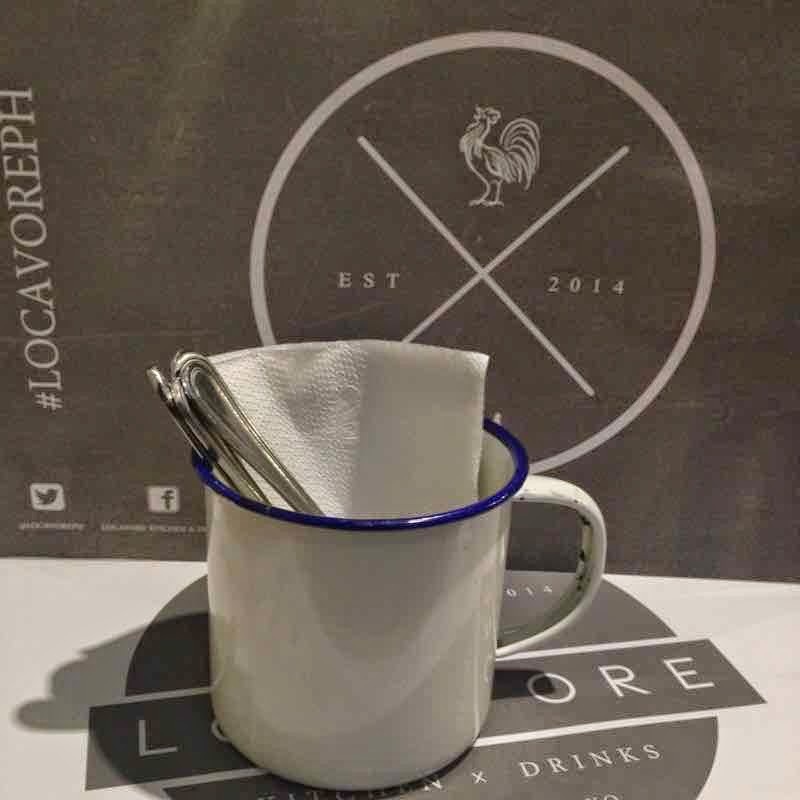 The restaurant name is Locavore Kitchen and Drinks. 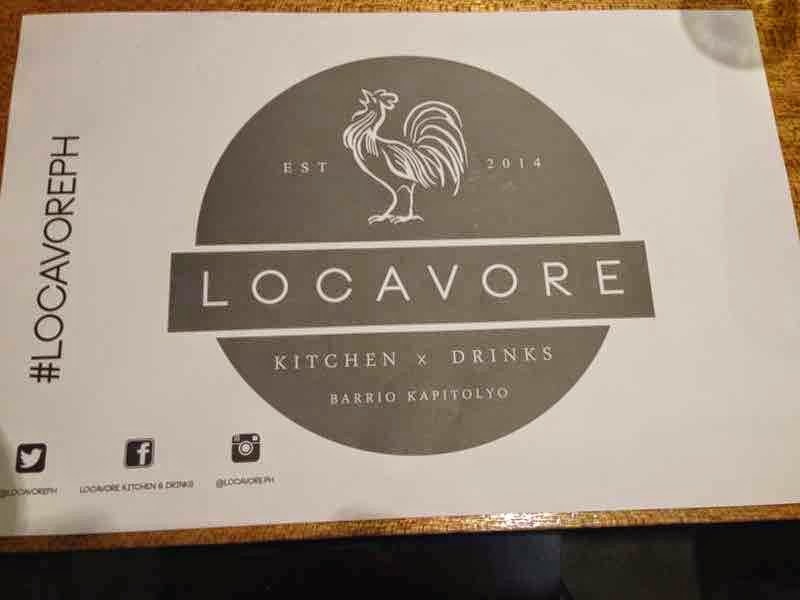 Locavore Kitchen and Drinks is named after an actual term that describes a diner who consciously eats food that is grown, raised, or produced locally. 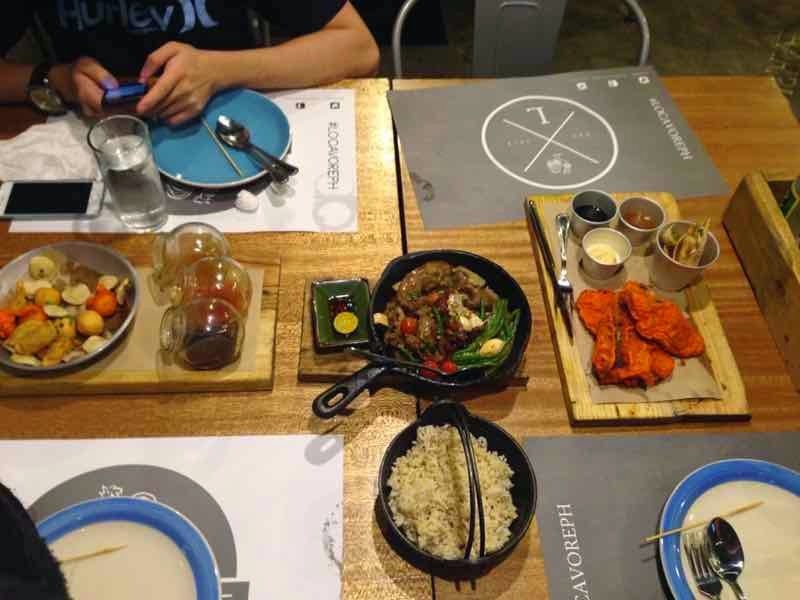 Locavore served a usual Filipino comfort food even street food in a different way of cooking and in a creative way of appearance and impressive look. 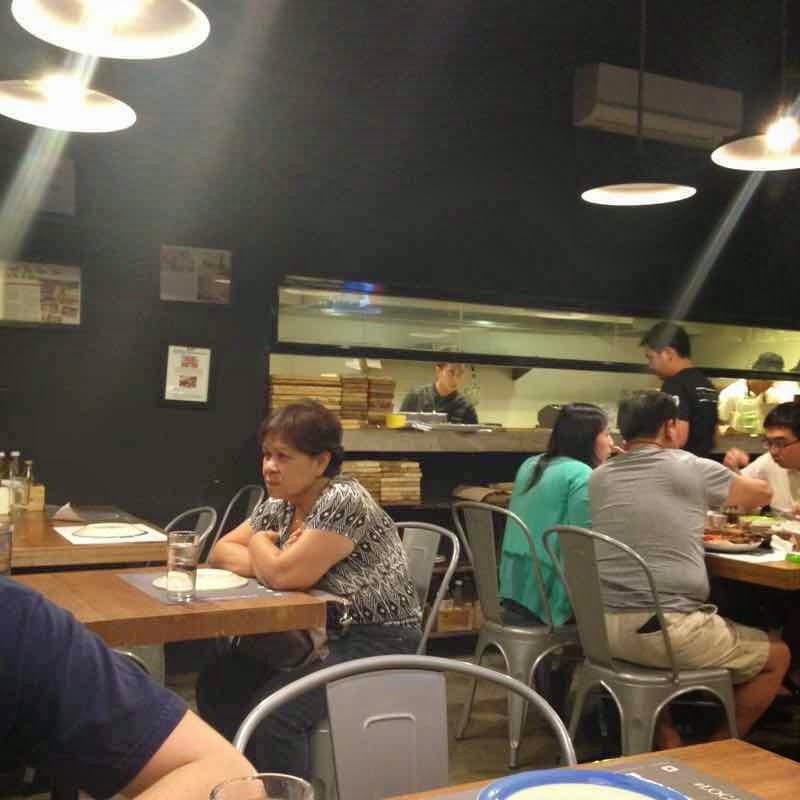 What makes this restaurant different to other? 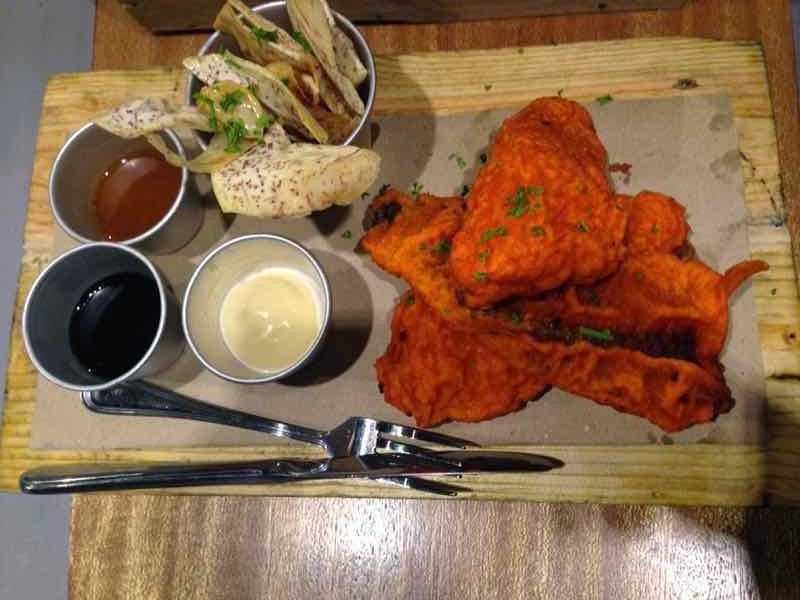 80% of their ingredients are organic, I’m not aware or I don't know how to determine if it is organic or non-organic. 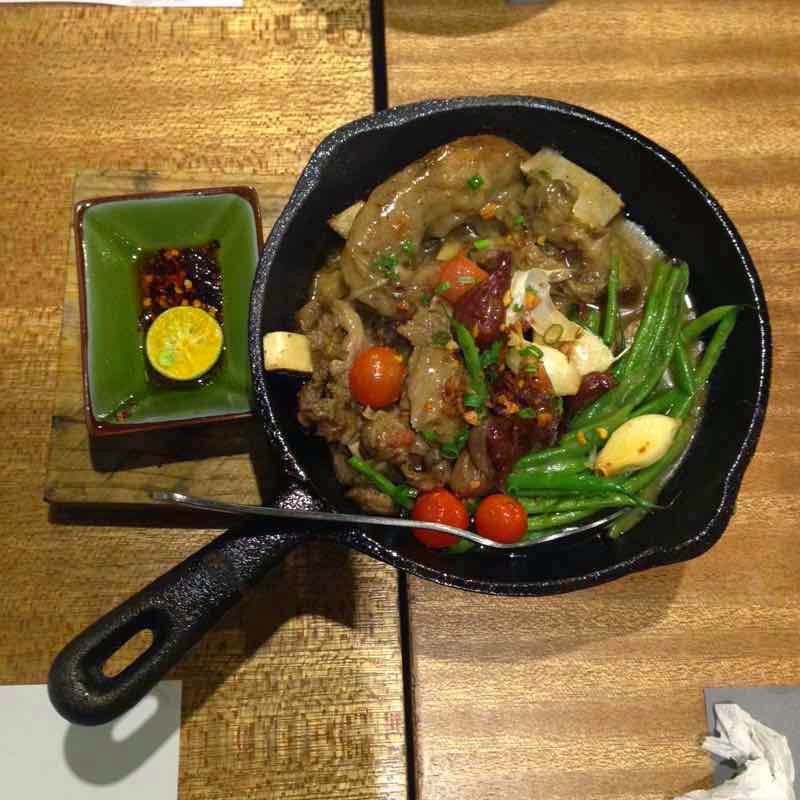 From the food that we ordered, the dish that makes me want to order again for my next visit in Locavore is their Sizzling Sinigang, this is not the usual sinigang that you have a soup base instead a thicken liquid like the normal sinigang soup, the meat was so tender and even the ingredients like the tomato and onion, tasted sweet when you bite and makes it even delicious when you put some of the thick liquid sauce of their sizzling sinigang. 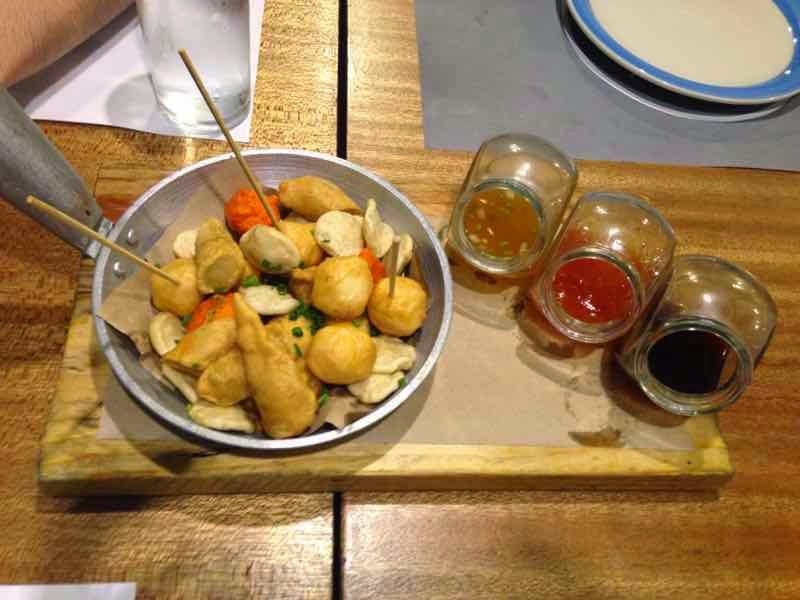 The next dish is their street food platter, a combination of fish balls, squid balls, kikiam and kwek-kwek. 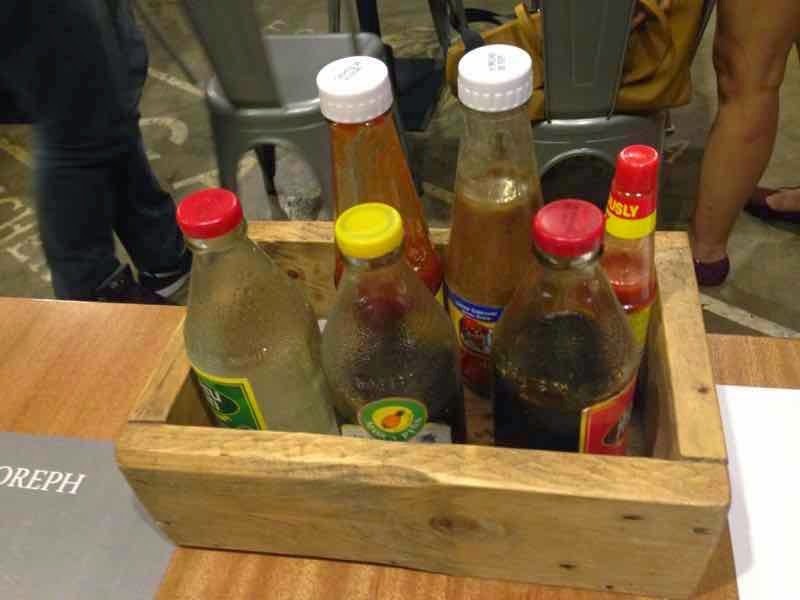 It makes different to other because of the different sauces and how they designed it when they served. 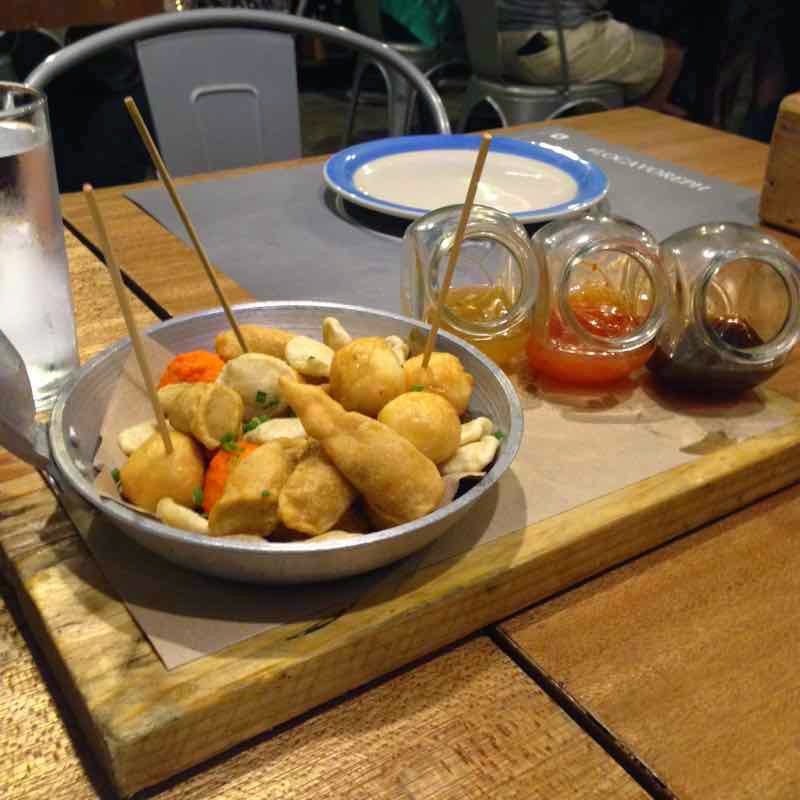 The last dish that we ordered is their crispy tilapia, with their famous gabi chips as side dish, the tilapia was fried using the kwek kwek batter and it was a tilapia fillet , it sauces was so good also that we even used in our street food platter and in our gabi chips. 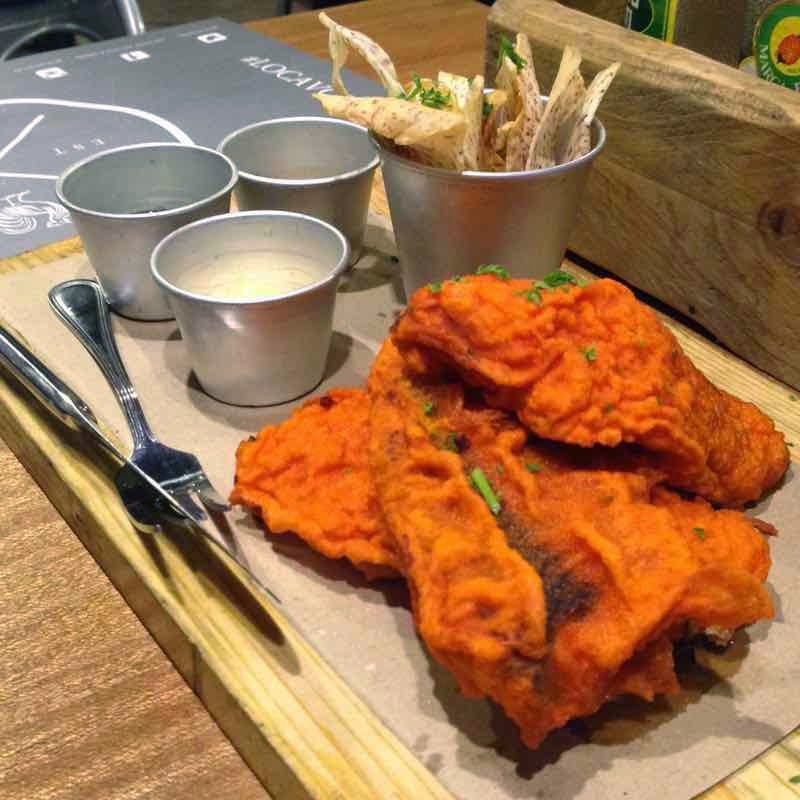 The looks of gabi chips is not the usual chips we used to eat maybe because it was organic or maybe the way they cooked it but best to dip in a sauces to add flavors especially in labuyo aioli sauce. 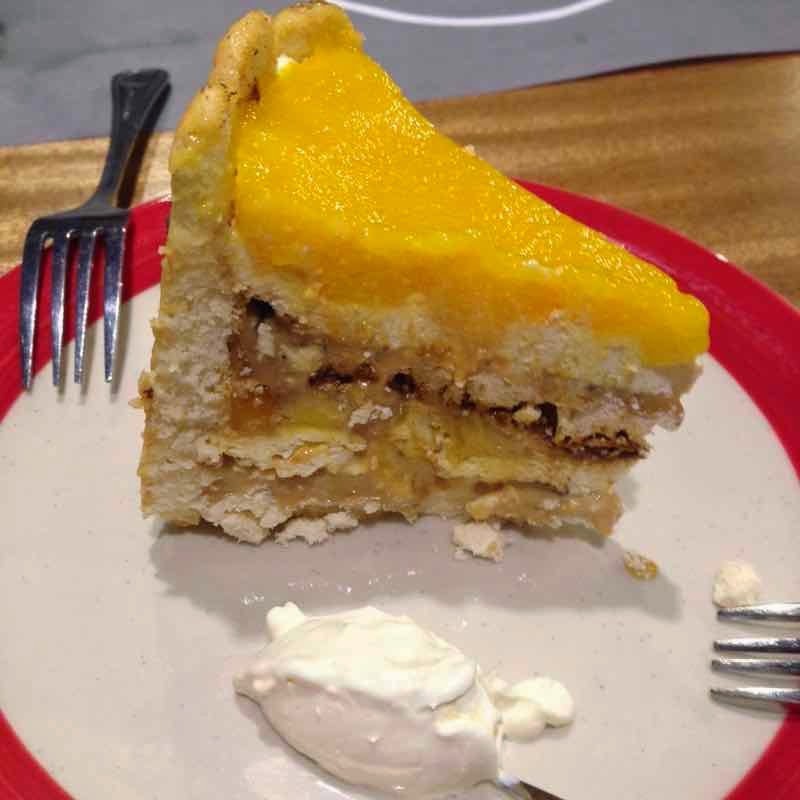 For our dessert, we ordered tortang mangga, the taste is like the mango bravo of the popular pastry shop but different in look and there is added sweet dulce de leche flavors that make so good also. 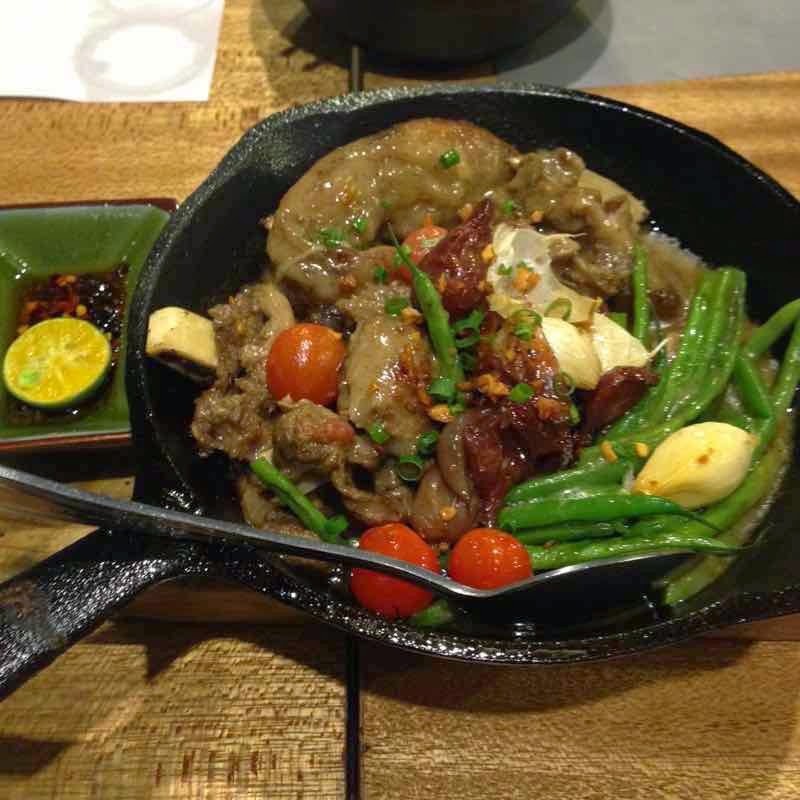 From all the list of dish that we ordered, I recommend the Sizzling Sinigang and Tortang Mangga. 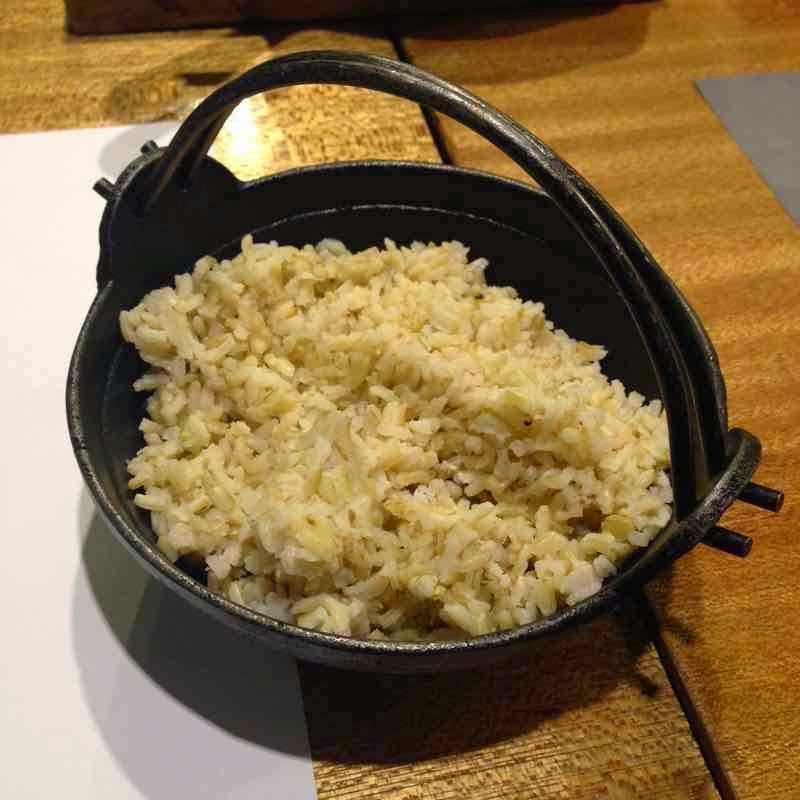 But before I forgot, the rice that we ordered is their steamed organic brown rice. 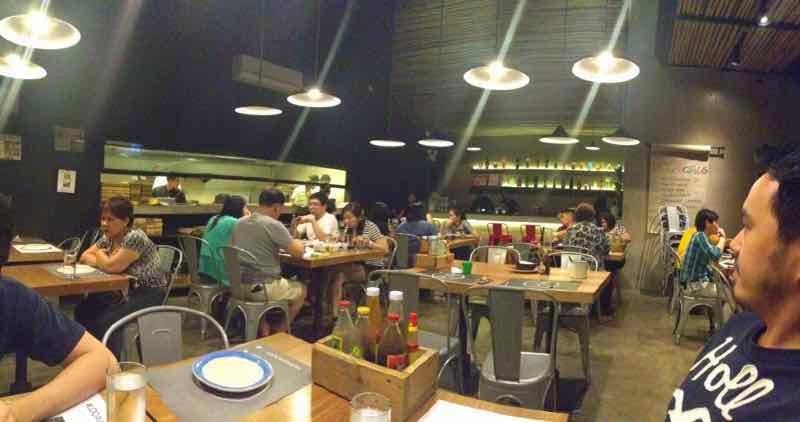 Hope we can try the other best seller dishes or maybe all their food, :) I should probably like it, planning for our next scheduled visit to this place with my colleagues. 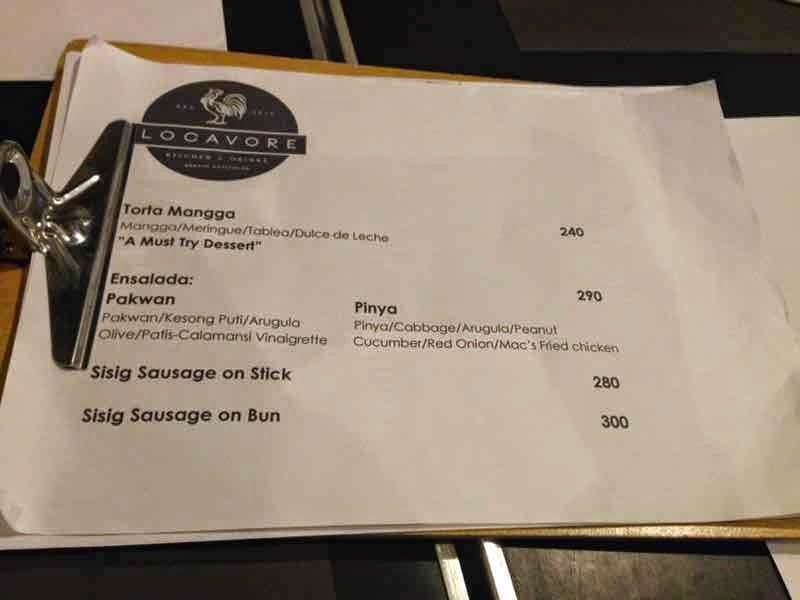 If you will check also the Locavore menu prices, you will think it was pricey but when you tasted their food, you will said to yourself that it is worth the price. 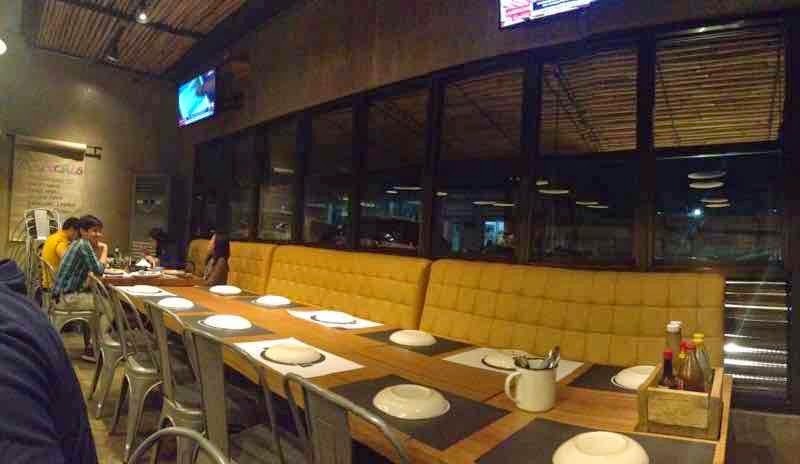 For the location, the ambiance was so relaxing and comfortable. 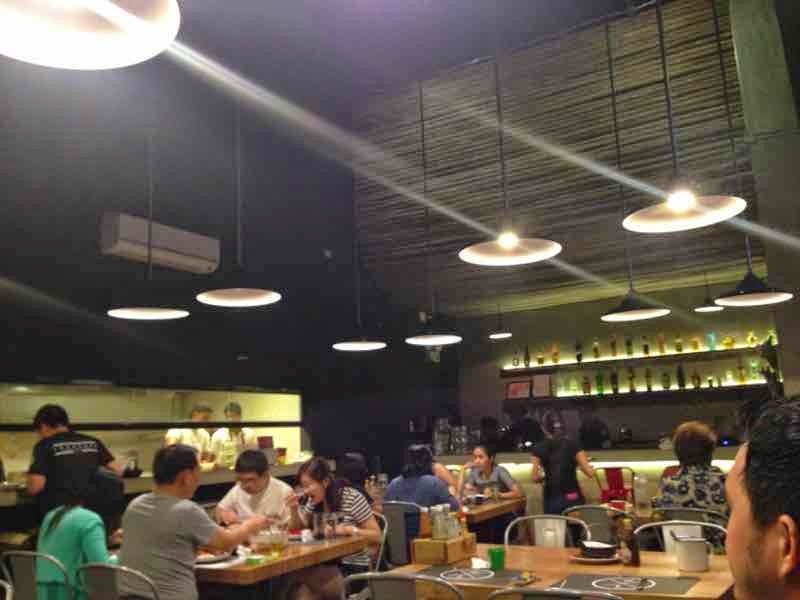 That time of our visit, they have many customers and some are in the waiting list, they choose to wait because the food is great. 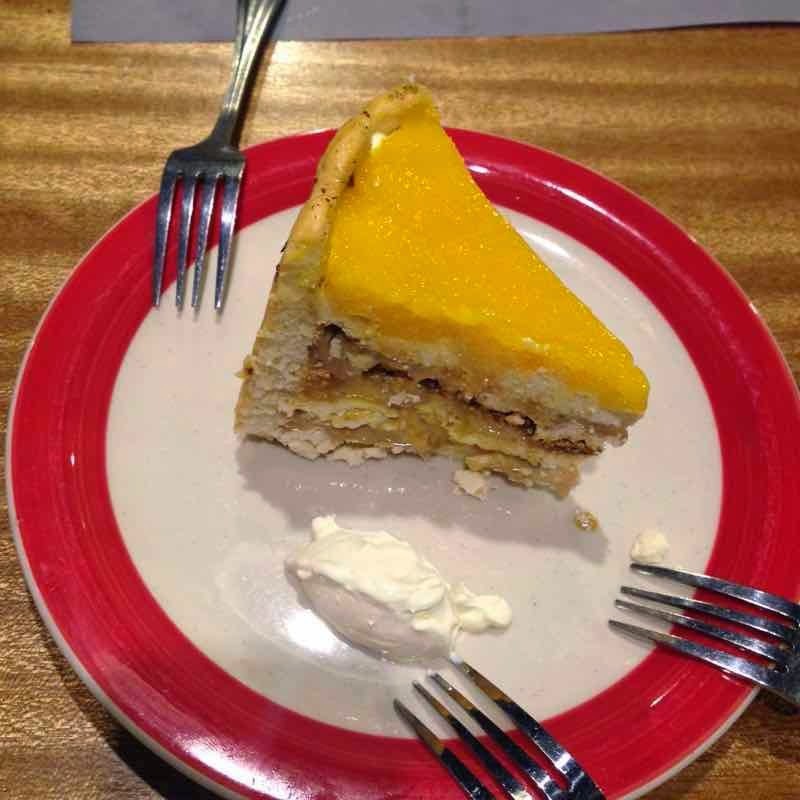 Thanks to my colleague Rahnee for the photos.